Johnnie Walker is the No1 Scotch whisky in sales worldwide, being the emblem of personal progress for people who enjoy it, in more than 200 countries. The combination of commercial genius, devotion and knowledge of public need, has inspired three generations of Walkers to transform a small grocery into an international company which manages brands that today shape the market of Scotch whisky in a global scale. Throughout almost 200 years of trading, John Walker’s original values of quality and consistency have been rigorously applied to the blending process of each whisky in the Johnnie Walker range. Like John’s grandson, Alexander, a master of the art of blending, today’s specialists combine a first-class training, a natural talent and a Master Blender’s perceptive nose; all crucial when creating complex blends. 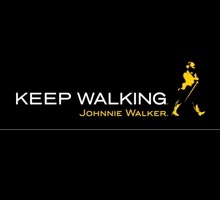 In 1908, the phrase “Born 1820 – Still Going Strong” appeared in the advertising campaign of Johnnie Walker. Almost 100 years later, the Johnnie Walker House continues to produce successful and innovative brands. The range of the modern and award-wining whiskies includes: Red Label®, Black Label®, Green Label™, Gold Label™, Blue Label™, Premier™ και Swing™. 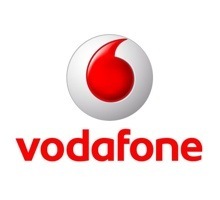 Vodafone Greece is a member of Vodafone Group Plc, one of the world’s largest mobile communications companies. Vodafone Greece has a technologically innovative telecommunications network, providing top quality communication reaching 100% population coverage, as well as high speed mobile internet access. Furthermore, it has a robust commercial retail network nationwide comprised of Vodafone branded shops and commercial partnerships with other distributors and retailers. Having set as a priority the satisfaction of its customers’ demands for integrated communication, Vodafone provides a range of quality leading and innovative products and services, while applying Corporate Responsibility principles to all aspects of its operation. Ricardo Internet Hellas was founded in December of 2007 and is part of MIH Internet Europe (Naspers Media Group). The trading platform of the Group is considered the most advanced in Europe with a leading presence in 15 countries since 1999. The MIH Group employs 600 people, serves over 12 million registered members and is divided into two business units: the Ricardo Group, which gathers the Western European countries, and the Allegro Group for the Eastern European countries. The respective Greek site was launched on November 13 of 2008 and is today ranked among the top 100 websites in Greece in terms of “traffic reach” (according to both the Google Ad Planner and Alexa). More specifically, over the past 24 months ricardo.gr has gathered over 80.000 registered members and has attracted 9.5 million visits from 8.5 million unique visitors who browsed through 125 million page views. Within the same period, 6.2 million product listings have been uploaded to the site and over 220.000 open articles are currently for sale throughout 25 different categories. During the month of October 2010, ricardo.gr reached 1 million visits with an average of more than 25.000 unique visitors per day, while 11.000 new members joined the Ricardo community who made a total of 15.000 bids within that month! buldoza.gr launched on September 23rd and is already considered by the community as one of the hottest Greek start-ups. Visitors can currently select more than 10.000 branded products from over 300 valued brands and the range keeps growing. The buldoza.gr team is a group of 10 passionate young people, that didn’t hesitate to record on tape the whole start-up process of buldoza.gr and share it with the community through YouTube. We ‘ve heard that all Buldozers will try their best to be present @ TEDx Athens, so orders may be a bit late on Friday! 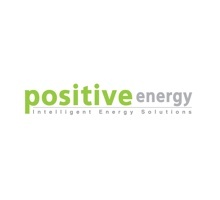 Positive Energy is a member of a Group of companies founded in 2003 by a team of noted Greek entrepreneurs with a strong presence in the greater South-Eastern Europe in the investment and construction sectors and long experience in the sectors of technology, energy and real estate development. The Group has gradually developed a wide network of partners, maintained for many years now, through strategic partnerships and alliances, while a large team of executives, having long experience in constructing and managing large PV projects, post-graduate education in Renewable Energy Sources and high-level technical skills and experience in risk management, entered the Group’s workforce in 2007. Positive Energy was thereby created, being one of the most dynamically developing Greek companies in the PV system construction sector in Greece. Positive Energy is an experienced energy performance contractor (EPC) that develops Renewable Energy Solutions in South Eastern Europe. Based in Athens, the company specializes in the Design, Construction, and Operation for grid connected Photovoltaic Systems, individual energy control systems and processes, and autonomous hybrid systems. Positive Energy has today a wide and important project portfolio and a significant track-record in Greece. Positive Energy, through its affiliated company, Gennext S.A. which is the investment vehicle of the same Group, provide also unique opportunities for investments to a wide project portfolio of photovoltaic parks. Gennext has developed strategic partnerships with internal and foreign companies for the implementation of projects throughout South Eastern Europe. Acting a partner of choice for renewable energy investments, the Group has emerged as one of the dominant market specialists in South Eastern Europe and has a significant forward-looking project pipeline be developed over the next years. 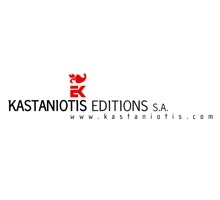 Kastaniotis Editions S.A. was established in 1968 by Athanassios Kastaniotis, who is today the Chairman and Managing Director of the Publishing Company. The constant search for new methods of improving the quality of book publishing and electronic application, as well as the implementation of modern means of sales promotion, compose all these years the stable development axis of the Company. The wide range and the quality of our books have managed to win the preference of a large and demanding audience. The Company operates in the publishing field and specifically in the sub sector of book publishing. More explicitly, the basic entrepreneurial activities of the Company as mentioned in the Articles of Operation of the Athanassios A. Kastaniotis S.A. are the following: The publication, production and trading of all kinds of printed material, apart from newspapers, magazines and Greek of Foreign books of any nature.The creation, production and trading of video – tapes and computer discs, as well as general consumable PC material.The production, publication, distribution and trading of electronic books and all kinds of applications using multimedia technology, in CD-ROM, CD-I, DVD, PHOTO CD, 3DO, Video CD.The production and publication, the distribution and trading of multimedia titles, multimedia applications and any other kind of content in digital form, as well as the distribution and trading of books via the Internet. Focus Bari, a 100% Greek privately owned research agency, was established in 1988 by a team of specialized, experienced market researchers, and remains the No.1 Greek research agency in billings. Thanks to its pioneering, exclusive research tools, its specialization in Media Research, its international liaisons, its know-how & infra-structure, and to its unique, dedicated personnel, Focus Bari has been acknowledged as one of the top research companies in Greece, since its launch. 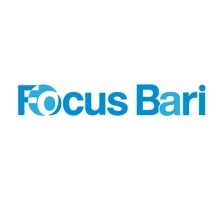 Leader in Media Research, Focus Bari conducts the industry currency NRS Survey for Print Media since 1990, and the Radio Audience measurement since 1988, while in 2006, Focus Bari won the first JIC Contract in Greece for the Attica Radio. Comprising a strong “brand guarantee”, Web.iD by Focus Bari has been the only continuous national offline survey for the internet in Greece since 1995, and currently, the company continuous its pioneering strategy in implementing advanced technology for online research (www.focusonline.gr), as well as its active contribution in all leading business communities and universities. 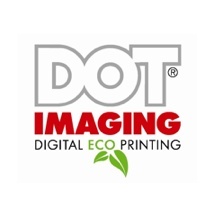 DOT IMAGING is a creative digital printing solutions provider, established in 1994. It was that year when in collaboration with 3M Graphics Worldwide, the first installation of a large format digital printer in Greece became a reality. Since then, the company has advanced into new technologies and modern practices. Today, Dot Imaging operates in new premises and specializes in interior/exterior decoration applications, fine art reproductions, fleet graphics, promotional and retail applications. The company consists of a dynamic group of young and inspired professionals, experienced in the fields of graphic design, visual communication, digital printing and marketing. In 2010, an investment in HP’s new latex ink technology makes Dot Imaging the first Greek “green” provider of integrated ecological digital printing services. This is not just a hotel. It’s a legacy in Athens. Consider the fact that a whole area is named after the Hilton and you’ll start to understand the immense name this hotel has had the past 47 years. Socialités, fashionistas, local and international celebrities, you see them here! An architectural marvel, the Hilton Athens has been fully renovated in 2003 to be able to cope with the next episode in its ever interesting life. The hotel boasts 508 spacious rooms and some of the best city views available. You can almost touch the Acropolis! Art is abundant and local artists are used throughout the hotel. 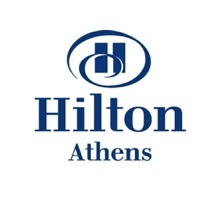 Hilton Athens has the largest outdoor pool in the city center and features four restaurants and two bars. The Byzantino restaurant offers Mediterranean cuisine in a renowned atmosphere. At the Milos restaurant, you can taste gourmet Greek cuisine at its best. Aethrion Lounge is where local celebrities and politicians meet for a coffee and the rooftop Galaxy Bar & Restaurant truly is the most glamorous Athenian hangout to start out or end your night, to see or to be seen. Remember; people like to dress up here! Be the VIP you are while enjoying a citywide view. The hotel is just 25 minutes away from the airport by direct subway. It features 22 meeting rooms for 2 to 1300 people, a 24-hour Business Center and an Executive Lounge with Acropolis view. For a spa getaway or some pampering time away from the real world, you can visit the Hiltonia Spa, featuring an indoor pool, a fully equipped fitness room, a Pilates studio with natural light and an endless array of health and beauty treatments.